John Cleese is one of my favorite comedians. I’m old school, lovelies. . I adore him. Many thanks to my Mister Constant for surprising me with tickets to his upcoming show. I’m so looking forward to seeing him live on the 19th. It should be a fun evening. If you aren’t familiar with his work, shame on you. 😜 Please allow me to catch you up. 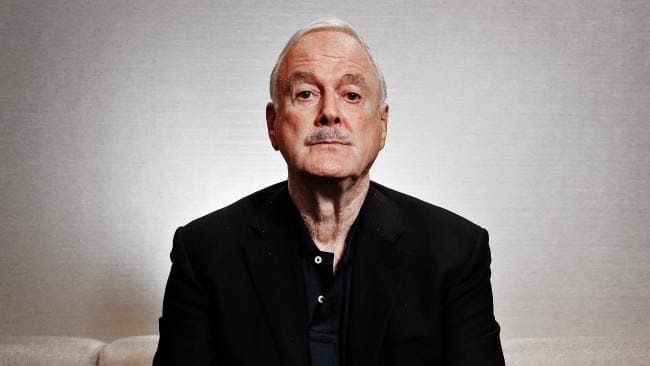 Cleese is probably best known for his various roles in the British comedy Monty Python’s Flying Circus. I love him for his role as Basil Fawlty in Fawlty Towers. He is also known for his award-winning role as Archie Leach in the American / British comedy film A Fish Called Wanda. In honor of the upcoming show I give you one of his funniest television moments, followed by some Cleesisms. And now a tune for Wednesday. I so love these lyrics and Vance Joy. Thanks Drew. Happy Wednesday. I see your up early like me. Hope you have a great day. Happy Wednesday. My insomnia. I read and went back to bed. Now, I am truly up. Hey, Hope you have a great time. Smiling. I am sure of it. I always enjoy watching John Cleese. That you for sharing. Yes forsure lol. I was thinking though I did love him a lot as Q on some of the current James Bonds. Very serious but also a rather clumsy character. Haha. That’s lovely to know. And your right he hasn’t ever & never will either. Enjoy your weekend Tosha. You might like a comedy film he did in the 80’s called ‘Clockwise’. Cleese stars as a time-obsessed headteacher of a school who needs to get to a conference on time to deliver a keynote speech. Stuff happens en route. Thanks for the recommendation. I’ll definitely check it out.